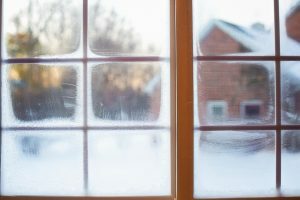 As the cold air continues to blow and you bundle to keep warm, you may also be apt to keep all your windows and doors shut tightly as well. While this helps keep the heat in, it also leads to stagnant air and dry, stuffy indoor environments. Dust and other pollutants are also trapped, accumulating in the air you breathe and causing particular irritation to those suffering from asthma and allergies. Moisture levels within the home are also of concern. To alleviate this throughout the winter months, it is important to take the proper steps to improve the indoor air quality in your home as well as manage the amount of moisture in the air. Winter is usually a time we think of as dry, leaving our skin begging for moisture. However, pumping up your humidifier is not necessarily the answer. Air that becomes too humid can become a breeding ground for bacteria, mold and mildew, further worsening your indoor air quality. There are a few key places in the home that moisture can accumulate during the winter. Signs that there is too much moisture in your home are condensation on the windows, discoloration on the walls, ceilings and floors, white powdery stains on concrete floors and musty odors. If you see any of these warning signs, check your homes ventilation system to make sure air is properly flowing through your house. You can also limit the use of humidifiers and set up dehumidifiers in the damper areas of the home, such as in the basement. Making sure your home is properly insulated can also help regulate not only the moisture but the temperature as well, further preventing mold growth. 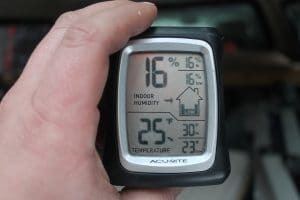 According to the Environmental Protection Agency (EPA), it is recommended to keep your indoor humidity between 30 and 60 percent. Depending on the dryness of your air, you can use both humidifiers and dehumidifiers to stay in this range. Choose fragrance-free or naturally-scented laundry products and mild cleansers (no artificial fragrances). 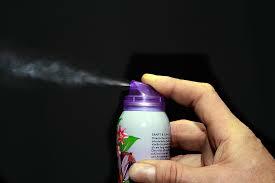 Eliminate aerosol spray deodorants, hairsprays, air freshers and cleaning supplies. Let the fresh air in! Open windows to let the toxic chemicals out and fresh air in. If there is an allergy issue, keep rooms ventilated with a filtered A/C system. Sliced lemons and baking soda will give you that clean scent in your kitchen. Add some houseplants to your home. Spider plants, ferns and aloe vera act as living air purifiers, absorbing the chemical pollutants released by synthetic materials. Changing your air filter is one of the easiest and most important things a homeowner can do to maintain their HVAC system, which is why understanding air filters and their function is so important. Furnaces have to work harder than they need to when air filters are dirty and clogged. They also lead to poor indoor air quality as the pollutants and allergens that are no longer being trapped in the filter are released back into the air we breathe. Be sure to check your air filters at least once a month during the fall and winter and change them with a fresh clean air filter if they are dirty. This is also a good time to check your air vents. 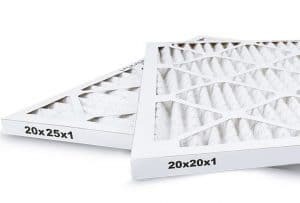 Your HVAC systems air filter will trap most of the contaminants and particulates in the air that passes through, however, over time some are able to bypass this and build up in the duct work. Vacuuming out your air vents will help prevent blockages and indoor air quality problems, allowing warm air to flow freely, easing temperature regulation throughout your home. With the proper humidity control and the knowledge of how to spot mold, insulation preparation, and finding the best air filter for your home, you will be able to find a way to breathe clean indoor air and stay healthy all winter. Selecting the filters that are just right for your home can be difficult and confusing at times. Although not exactly rocket science, choosing the best filter to replace your old one can be a bit of a challenge. What MERV rating is best for my family? Is there an advantage to getting a higher-rated filter? Am I paying the right price? At US Home Filter we understand this, which is why we offer an experienced staff to help answer any questions you may have.